Hi, everybody! Just a quick plug here – today, Jan 20th, Flickering Empire, my new book on Chicago silent film, is available through the film studies branch Columbia University Press. Though I try to cite my sources and hold myself up to reasonable academic standards in even my most down-to-earth work, this is my first “scholarly” book, written in collaboration with Michael Glover Smith. I’ll be back here later this week with a brand new post about a forgotten masked “supervillain” who terrorized Chicago in the 1890s! And if you happen to be at the American Library Association’s Chicago convention next weekend, I’ll be at the Llewellyn booth on Sunday signing early copies of my upcoming Ghosts of Lincoln book. Chicago’s role in the early film industry is largely forgotten today, but for a few years there we were a prototype Hollywood, producing early examples of serials, color films, feature-length films, and a whole host of other things that had never been seen before. 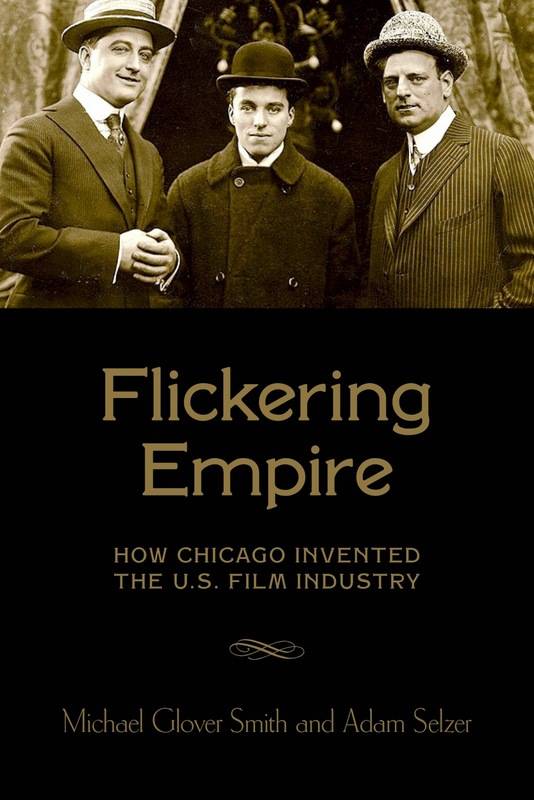 Flickering Empire is the first book-length study of Chicago’s role in the nascent industry, from the moving pictures that were (and weren’t) on display at the 1893 World’s Fair to the collapse of the local industry a quarter of a century later. To research the book I traveled the country seeking out the handful of films that survive, met with relatives of major players in the industry, and generally had a blast!